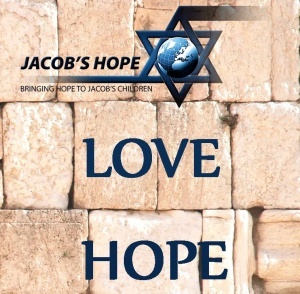 This season the director of Jacob’s Hope brings greetings to all of you. 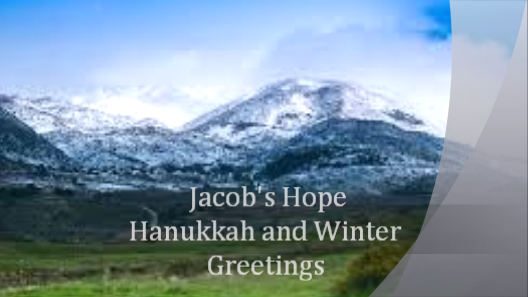 Bent Johnson the director of Jacob’s Hope brings Hanukkah and Winter greetings. Brent talks about the season and story of Hanukkah. Hanukkah is the celebration of light and dedication to God. Brent talks about the difference between the temple Menorah (7 branches) and the Hanukkah Hanukiah (9 branches) used during the 8 days of Hanukkah celebration.Therefore let each of us find cleansing and reestablish ourselves with God this season. Thanks for the information. I am thankful for this ministry. Debby Clark: Trying to send that picture of you and Wade With Brent Johnson. But can you send it to Debby Myer per my request. She might use it. dmeyer@times-news.com. Thanx, Bro Jimmie Carol demolished her car Jan 30th on Camp Ground road at the intersection from I/S at Cracker Barrel. Has fractured left ankle in boot till 2/14 and X-ray for condition. I’m doing the housework and all, etc. Need prayers for both us. Remember to pray for Jason Merritt and my evangerlist friend Cecil Todd of Revival Fires Ministry (BIBLES FOR OUR TROOPS AND NOW CUBA) iN HOSPITAL serious with sores in his mouth. They think from Rixortan (?) RX they used for his sage 4 cancer that was healed. Jimie, Nice to hear from you. Sorry to hear about Carol we do not bounce back as fast as we use to. We will be praying for her fast recovery. Nice of you to take up the slack at the house I am sure Carol appreciates it very much. I have been praying for Cecil Todd he sure has been going through alot lately with the cancer and now the sores in and out of his mouth. Cecil lives about 30 minutes south of Debby and I in West Branson, MO. I will send the picture to Debby Meyer today and mention per your request. Thanks for your continued support and prayers.